The 14th edition (actually it is probably the 13th since they skipped SQLBits XIII – Who said superstition ?) of SQL Bits will take place from the 4th to 7th March in London. This years edition is placed under the Superhero theme. It is my first time at the event and I really have great expectations after all the positive feedback I had from the previous editions of SQL Bits. 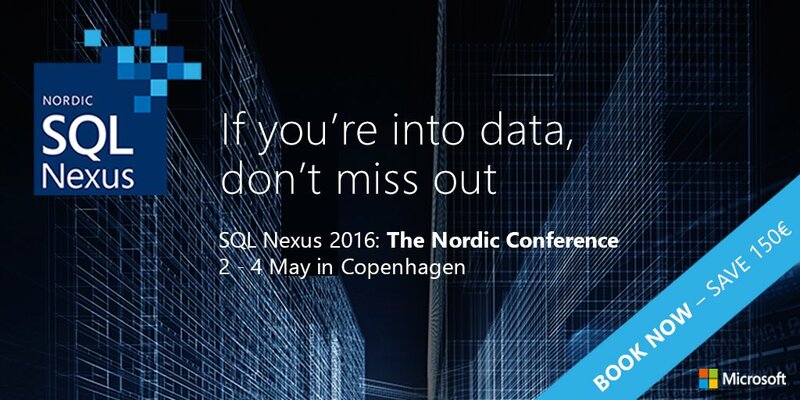 I will be presenting a session about SharePoint and Business Intelligence. Session that I’ve presented once before in front of a full room in SQL Saturday #356 in Slovenia. My session in Slovenia was not as successful as I’d hope it would be because a lot of my demos didn’t work. But it is now fixed !! And I can promise you an hour filled with great learning about how to configure SharePoint for Business Intelligence. So if you are into SQL Server and/or BI please come by for some great training days in London and the opportunity to meet, speak and learn from some of the best speakers on the planet. ‘Nough said…now is time to go working on my costume ! !